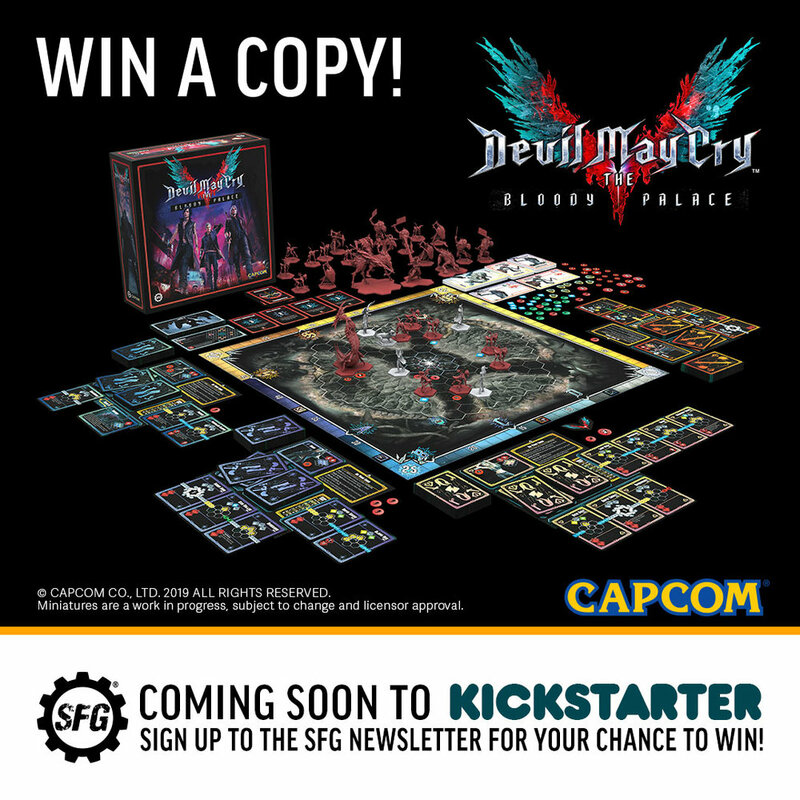 To celebrate our announcement of Devil May Cry™: The Bloody Palace in suitable style, we will be giving away a full Sparda-level pledge, worth over £150, to one lucky winner for free! And entering couldn’t be easier! To enter the draw, all you just need to subscribe to the Steamforged Games newsletter, which you can do here! Already a fan, and subscribed to the Steamforged Games newsletter? Don’t worry—you’ll automatically be entered into the draw! There are some Terms & Conditions that apply to this competition. You can find them here. Announcement | Part 1 | Part 2 | Part 3 | Part 4 | ??? Following on from our last article, where we gave you an introduction to how Hunters work in Devil May Cry™: The Bloody Palace, today we’re going to take a look at the basics of how enemies move and attack. Before we get started, Devil May Cry™: The Bloody Palace is coming to Kickstarter in Spring (Q2), 2019. If you want to know the second the campaign kicks off, click here to be added to our newsletter, so that we can send you a reminder and a link as soon as it goes live! Ready to go? Let’s jump right in then, with some example enemies to help demonstrate how they work! In our previous article we saw a little bit of one of the more common enemies, the insect-like Empusa. 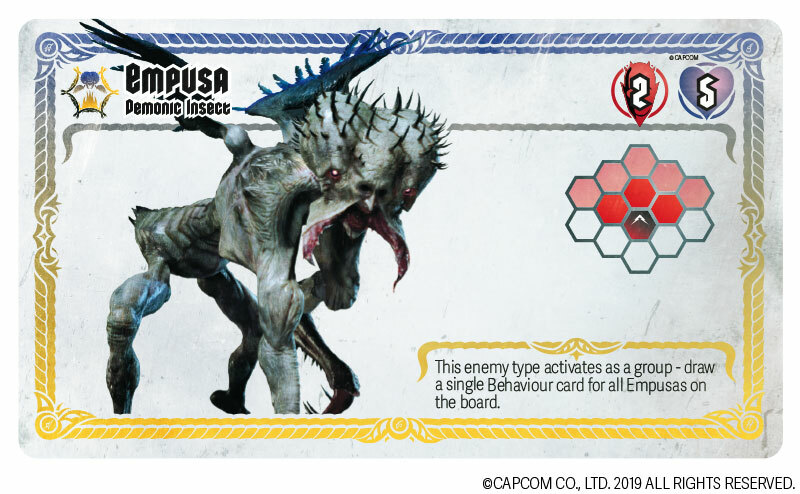 We’ll be using the Empusa for most of our examples today, but let's also take a look at one of the more deadly enemies that you’ll need to defeat in Devil May Cry™: The Bloody Palace, the fearsome Hell Antenora! Last time around, we took you through an example of a character’s turn in the Hunter Phase, helping Dante to dispatch his foes in spectacular style. 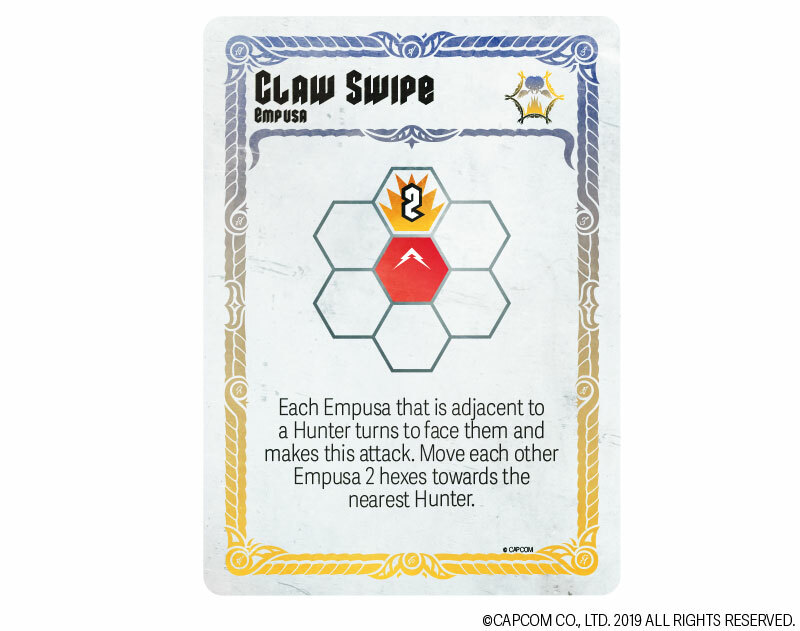 But after each player has activated their hunter in the Hunter Phase, any enemies which survived the assault get a chance to fight back, in the Enemy Phase. The fewer the players leave alive, the fewer will be coming after them in the Enemy Phase, so it's absolutely a good idea to kill as many of them as possible when it's your turn! So that’s the basics of how the enemies of Devil May Cry™: The Bloody Palace work... at least for some of the smallest and least deadly enemies in the game. Join us next time, where we’ll be taking a look at some of the larger and more terrifying enemies you’ll need to know about!